On Wednesday 28th November Design Essentials we will be hosting our annual early Christmas Shopping Event (open 11am – 7.30pm) to start off the festive season. We will be holding a raffle with all proceeds going to a local charity. Christmas is right around the corner and it’s a great time to get inspiration and those items personalised and gift wrapped whilst enjoying a glass of Bucks Fizz ,some eats and of course great company. We will have in residence on the day the awesome Gail Grisham and Erica Swaine to tell you all about their brand new collections. You can sign up for our gift service which gives you money back on purchases made too. So do come along and start the season with us and enjoy a glass of wine and festive treats. We will have much more happening at the event and we look forward to seeing you there. Let us know if you can join us. On Thursday 23rd November, we will be hosting our annual Early Christmas shopping day ( open 10-730PM ) to start off the festive season. We will be holding a raffle with all proceeds going to Alzheimer’s. Christmas is right around the corner and it’s a great time to get inspiration and maybe even pick up a few gifts too. Also the perfect time to take up our brand new gift service which gives you money back on purchases made. Come and start the season with us and enjoy a glass of wine and festive treats. We look forward to seeing you at during the day and we would be more than happy to help with any recommendations too. You can let us know if you’re coming on our Facebook event here. We are launching our brand new range instore on the 2nd of November and would love for you to come along to our event at Design Essentials. Come and join us at the store and join us for an evening of shopping. Enjoy a complimentary glass of wine and create your own Christmas list that we will keep in store for you so that friend’s and family can shop your wishes and you receive 10% back on. Complimentary drinks from Joseph Barnes Wines. And for the first 20 customers who make a purchase or place an order they will recieve an exclusive Goody Bag packed with treats from Design Essentials and other local business’s from the newly opened Connies Tea Shop on Market Row, Penneys hairdressers, Joseph Barnes wines, Petrus Clothes shop and the Beauty Box. Please RSVP by emailing wendy@designessentials.org.uk with your name and a guest if you wish or by clicking ‘attending’ on our Facebook event, or by emailing wendy@designessentials.org.uk. enjoy complimentary wine and special offers on the day with your tickets. Tickets available FREE click here to register. Join us between 10-7,30 for our All Day Shopping Event and be the first to shop our Black Friday Deals. There will be plenty of gift ideas for you to look at, secret Santa presents and hampers from £5 . We will be serving mince pieces, mulled wines and a selection of other nibbles to get you in the Christmas spirit in the run up to the big day. We will be having a raffle in support of local charity Support For Sight as well as a gift wrapping and personalisation service to help you get organised for Christmas. Join the event here on Facebook or just turn up on the day. For this one night only, we’ll be hosting a very special launch event, with a new interior design service alongside other exciting new products. We will be offering a 10% discount on all orders placed on new collection products on the evening at the shop and in our wider catalogue. Complimentary drinks from Joseph Barnes Wines. Chat to our resident Interior Designer Jana about how we may be able to help you and take a look at work we have done for our clients already. You will be able to shop on the night with exclusive offers, which are only available to our customers who attend on the evening. It’s all the more reason to come! We look forward to you joining us. Please RSVP by 30th September to wendy@designessentials.org.uk or by clicking attend on our Facebook page. You are invited to attend our Summer Sale at the shop or online at www.designessentials.org.uk. All sale items are priced at least 20% off with some even being up to 1/2 price! Come and grab yourself a bargain. Our journey began, when I was searching for a gift for my mother’s birthday. Unable to find that special gift, I decided to create something unique for her. My sole purpose was to create a product which conveyed a message in an original way. Hence why there is a message hidden inside the candle, creating that big ‘REVEAL’ moment. She loved it and from that moment Melting Messages was born as I decided to share this experience with others. Candles are used in a variety of different ways – to celebrate an occasion, give as a gift, create an ambiance or decorate a home. I wanted to create a product that could reflect these. I wanted to create a timeless product that would allow any moment to be preserved and be something worth remembering. Melting Messages is a UK based company. All our candles are designed in our studio and hand poured here at our factory. We source our wax and other key components from other UK manufacturers. We are proud of our heritage and we can proudly say they are ‘Made in Britain’. Wendy and her customers loved it, so much that we have decided to dedicated a whole two weeks on the collaboration. Saturday 2nd July will be a ‘Meet The Designer’ day at the shop from 11am – 4pm. Please come and see us and these amazing candles. 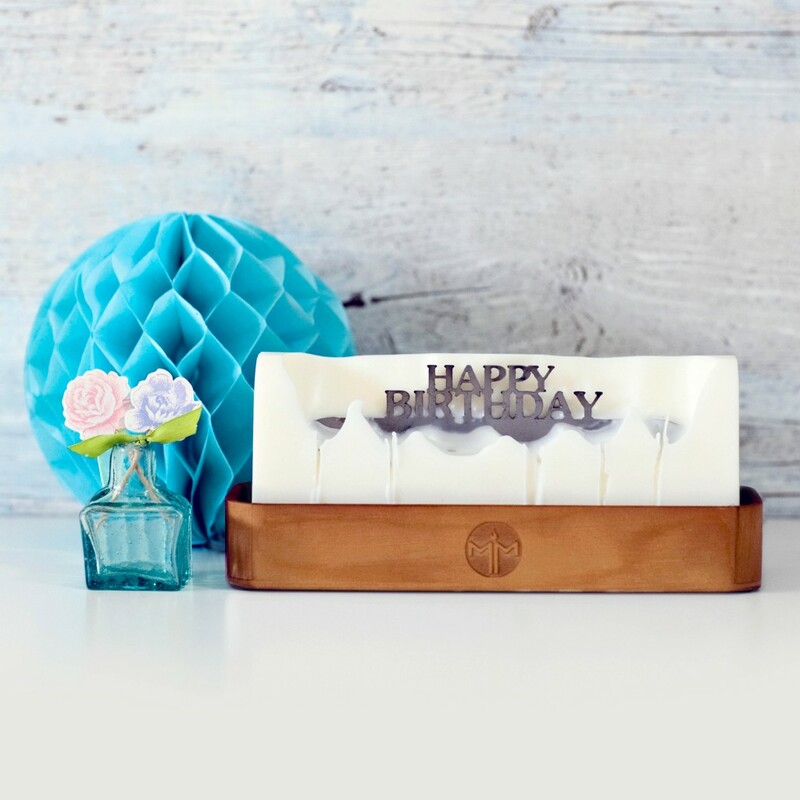 Whether you are searching for a Birthday, Anniversary or even a simple Thank You present, our Melting Message candles will be perfect for these special occasions. For more information and to RSVP for this special event, please email: wendy@designessentials.org.uk or pop into the shop if you’re in town. 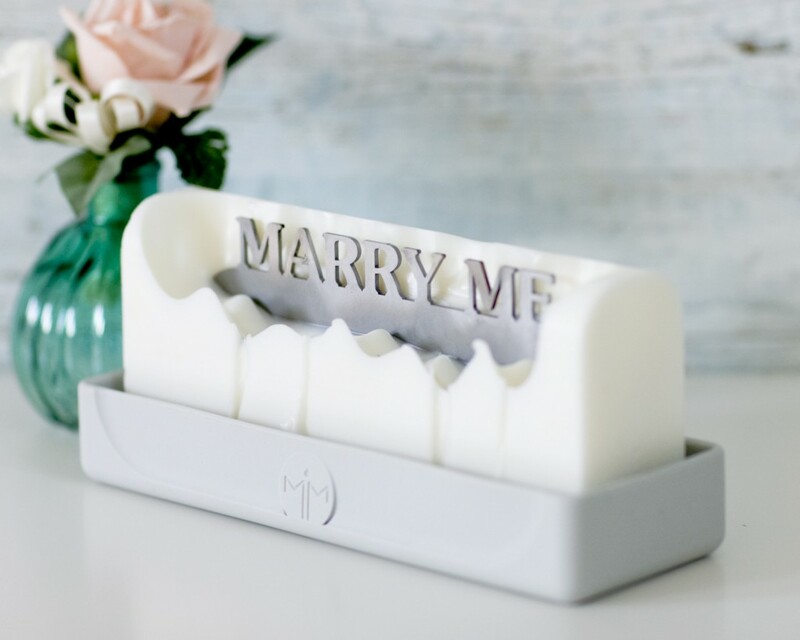 And now for something completely different – we are so pleased that Hope House Press have chosen Design Essentials to be their first offline stockist of their Father’s Day and Wedding Collections. 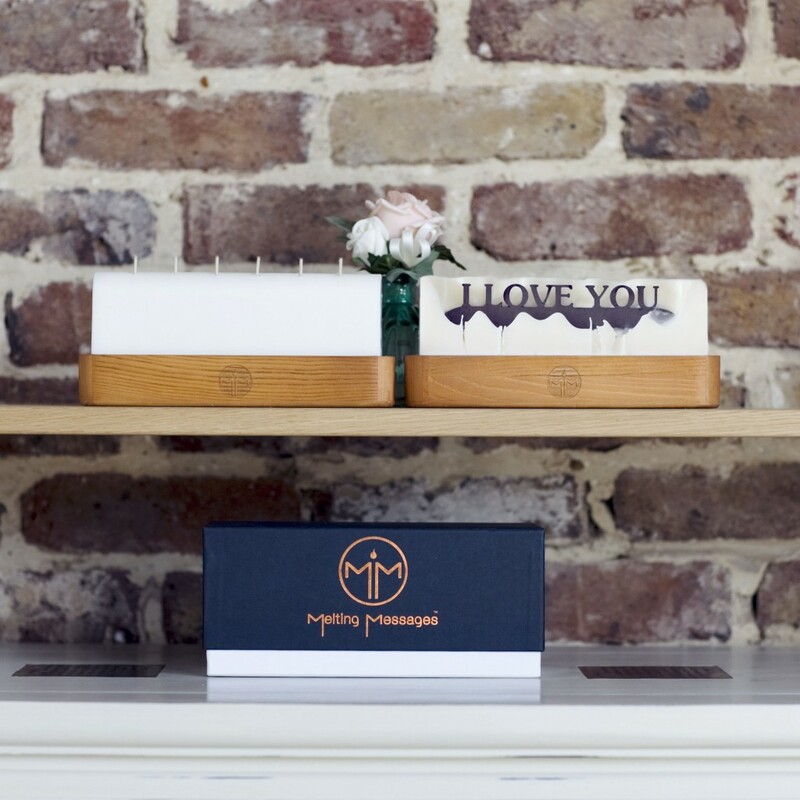 Hope House Press is the go to studio for bepsoke, personalised, truly unique stationery gifts and we can’t wait to share their work with you all and see why they have been featured as the must have gifts by Tatler, The Guardian and The Independent. Join us for Pimms, cheese and nibbles and one day only discounts and offers on their ranges. 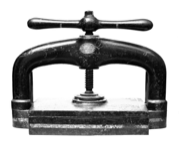 Hope House Press – Hope House who? 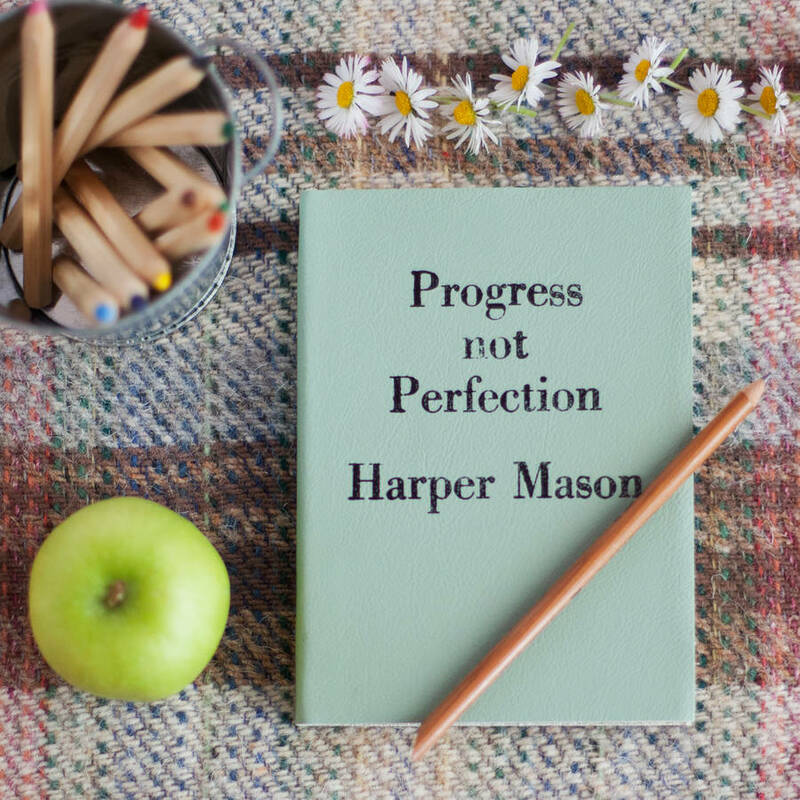 Hope House Press is a luxury leather bound, personalised notebook and diary studio based in Cambridge, UK. 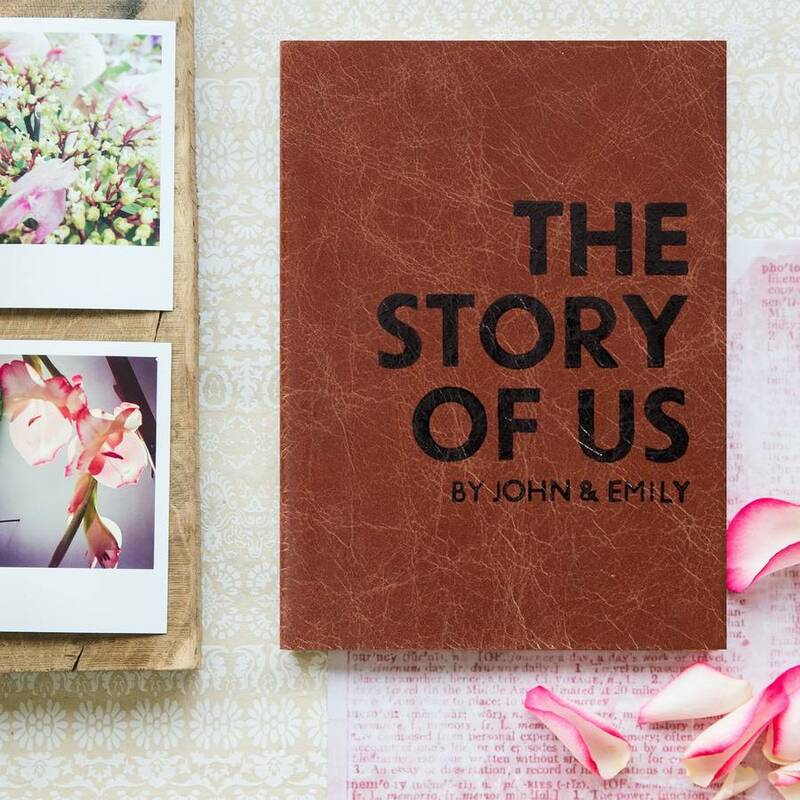 We have been in existence for a number of years – founded in 2007 by someone who just loved making personalised, luxury notebooks that are very special indeed, for other people. The ‘other people’ loved them so much that it grew into a business and in March this year – 2016, we – the Weston Family – took it on when the original founder decided she wanted to move onto another, totally unrelated project. Hope House Press notebooks and diaries are the stuff of legend. Not just because we’re loved by the likes of Tatler, the Guardian newspaper and the i newspaper. But because we spend hours working on every piece that we produce. We refer to our products as pieces, styles and collections because to us, they are not simply a product on a production line – they are something to be written in today and enjoyed forever. Whether you’re writing about your wedding day memories, the arrival of your first born child or simply noting your shopping list – they’re all things that you do and reflect on your life and where you are at. Your time, your thoughts and your life deserves to be documented, valued and remembered. And that’s what Hope House Press does – we help you document all those things and more. In a world where everything is about the selfie and a filter over the top of it, Hope House Press notebooks and diaries are hand made from scratch, printed on with ink and hand finished and packaged with a level of detail that’s not far from Rowan Atkinson’s packaging skit in Love Actually. We’re also popular because we make life easier for people. If you’re ordering for Father’s Day and left it a bit late, don’t worry. 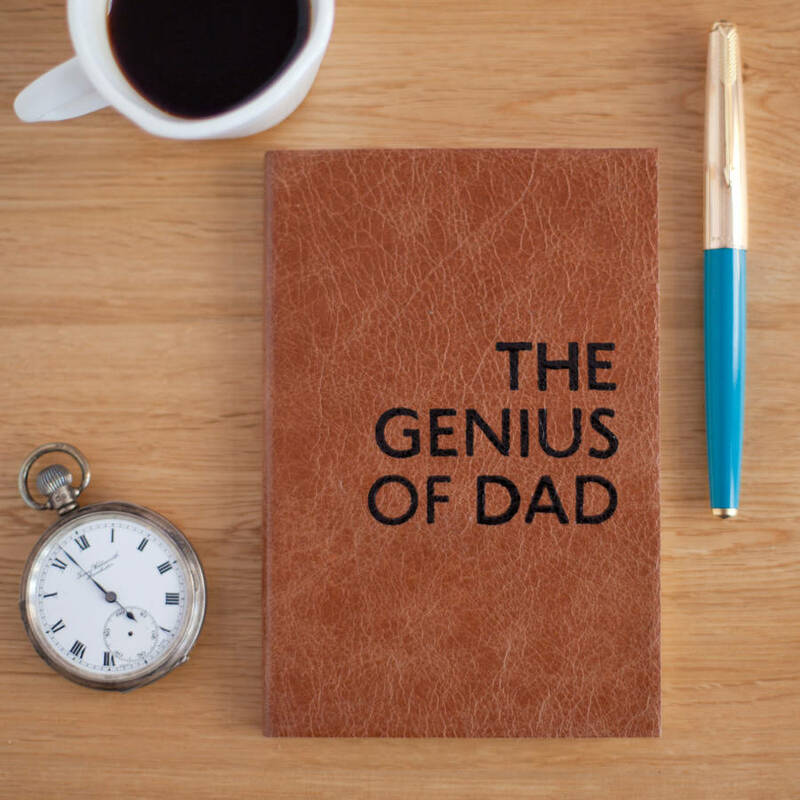 Give us a message for your Dad and we’ll pop it into a card and send the gift direct for you. If you’re organising for a retreat or group event and need items posting directly for you, we’ll do that as well. And no, we won’t charge you extra for it. It’s just part of the loveliness that is Hope House Press. And that’s the reason why we’ve chosen to partner with Design Essentials as our first offline stockist of our pieces and collections. 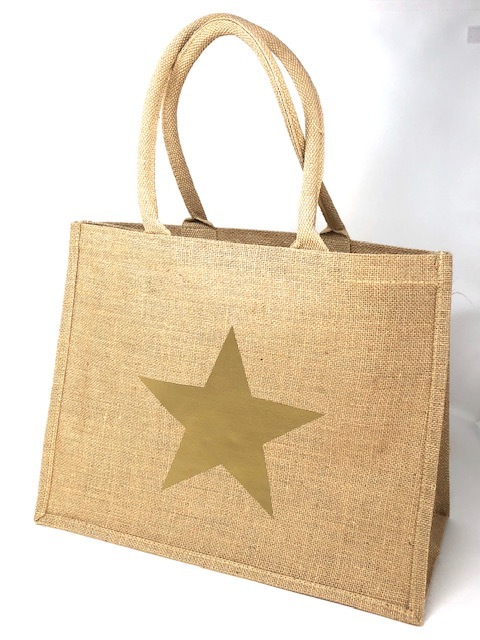 We’re starting small, offering some items that aren’t available anywhere else and with personalisation that’s not available to the world at large. We’re sharing our beloved notebooks which celebrate Father’s Day and all things Wedding related. We chose to partner with Wendy and her team because they too are rather special – their knowledge is extensive, their service exceptional and their ranges are without exception beautiful, unique and in many cases raise a smile that stays with you long after you’ve left the shop! We’d be thrilled if you’d consider joining us on Thursday 26th May, from 3.30pm to around 8 / 8.30pm for Pimms and cheese and nibbles. We’ll be doing a fabulous giveaway on the night and hosting some one day only deals and discounts on products as well. They’re likely to be for our the most popular ranges at the moment – Father’s Day and Weddings. 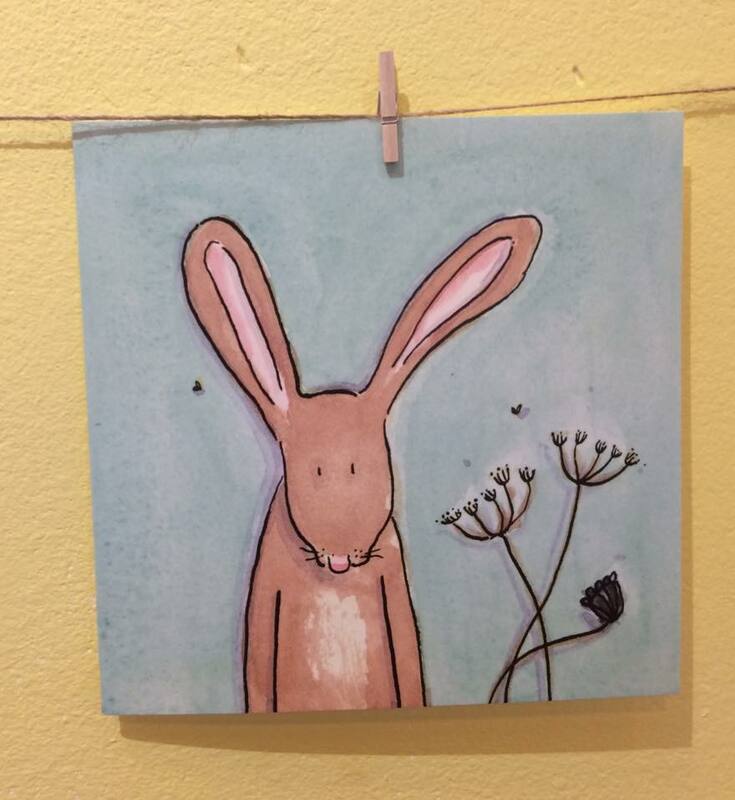 So if you’ve got something or someone to celebrate in the coming months, please come and visit us so that we can help you find the perfect gift for that occasion. For more information and to RSVP for this very special evening, please email wendy@designessentials.org.uk or pop in the shop when you’re next in town and tell us you’ll be coming! In the meantime, if you’d like a preview of some of the things we’ll be bringing, please keep reading!! !